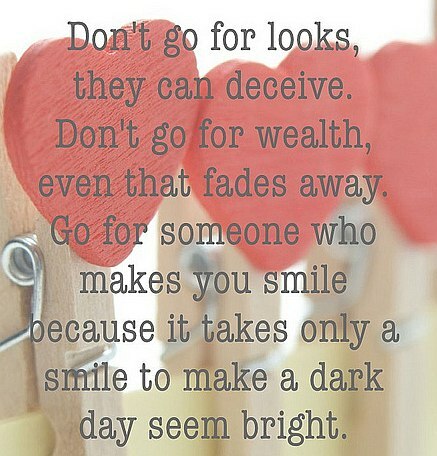 Don’t go for looks, they can deceive. Don’t go for wealth, even that fades away. Go for someone who makes you smile because it takes only a smile to make a dark day seem bright.